Tickle Head is a small village in Newfoundland, in desperate need of jobs and money. They are promised a new factory – but it’s only possible if they have a resident doctor in the village. As fate would have it, there’s Dr. Lewis (Taylor Kitsch) who gets blackmailed into doing a month of work in Tickle Head. That is one month Murray (Brendan Gleeson) and with him the entire village plan on using to make Lewis fall in love with their village – and if that means that everybody learns how to play cricket, everybody learns how to play cricket. 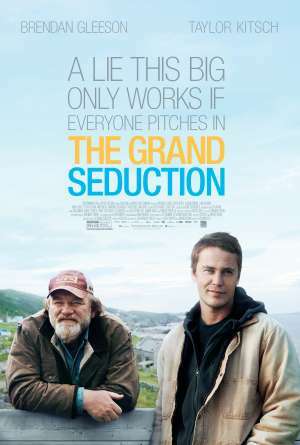 The Grand Seduction was a charming little film that was utterly predictable and brought nothing really new to the table, but executed tried and tested tropes flawlessly. That makes it basically the perfect rainy Sunday afternoon movie.